150 types of artisan cheeses are made in Maine. Made in Maine: It is a slogan that encompasses a wealth of products and specialty goods. From handcrafted furniture and jewelry to art and gourmet food, the variety of products found in Maine says as much about the inventive craftsmanship of the people as it does the abundant and fertile resources of the land. While Maine has been making wild blueberry jams, maple butter and gingerbread lobster for years, most people are only just beginning to experiment with specialty foods. What ignited this trailblazing trend in foodie culture? It is not just one particular idea or item, but rather an entire national shopping list: 4 cups of healthier living, ½ cup of greener lifestyle choices, 1 tbsp. of the Food Network, 2 tsp. of the Travel Channel and a dash of the philosophy “think globally, act locally.” Then…Voila. The next thing you know the checkout line for regional products is halfway out the door. It is safe to assume that most people have heard of, if not ordered from or visited, Stonewall Kitchen. While this might be the first stop on your experience of Maine’s specialty and gourmet food products, it should by no means be your last. The success of Stonewall Kitchen is an example of the popularity of locovore movements and farm-to-table philosophies. What began in 1991 as a display of unusual jams and vinegars at local farmers’ markets has morphed into a mega-specialty food store. Today, there are eight Stonewall Kitchen outlet stores in New England and a popular mail-order catalog. From red pepper jelly and peach champagne jam to chutneys, barbecue sauces and mustards, Stonewall Kitchen runs the gamut when it comes to traditionally quirky flavors. Located on Route 1, in York, Stonewall Kitchen’s flagship store has recently been revamped and expanded. If you do not get full eating the array of samples in the open-kitchen style shop, you can head next door to the bistro and enjoy a bowl of fish chowder or a turkey wrap with cranberry sauce. Maine has more than twenty cheese-makers. There are 150 types of artisan cheeses being made in the state. Cheese making is a complicated and esoteric art. The French understand this well. In recent years, the reigning producers of artisan cheese have seen their production drop and many of their farmhouse creameries go out of business. In Maine, Seal Cove Farm is the only creamery that distributes throughout New England. 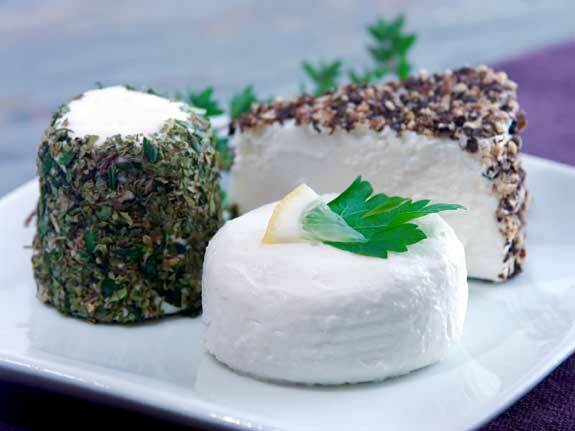 It has been making goat cheese in Lamoine since 1980. If you want to sample a Maine cheese plate, then you are going to have to leave the well-traveled highways for the rural back-roads. From Brie and Camembert to Fresh Cheddar Curd and British hard cheeses like Lancashire, Gloucester or Wensleydale, Maine is producing some unique and cutting-edge flavors. There is enough diversity to keep every type of cheese lover happy. Be sure to stop at one of the following dairy farms. Ducktrap River has been creating smoked seafood since 1978. It claims their fish is so fresh that there is complete traceability from egg to plate. Combining European smoking technologies with age-old traditions and curing methods, Ducktrap River’s smoked seafood contains no artificial flavoring, preservatives or coloring. The seafood is flavored with brine, herbs, spices and natural cane juices and then slowly smoked over hardwoods and fruitwoods. Ducktrap River specializes in salmon, trout, bay scallops and shellfish. From restaurants and supermarkets to fine food stores, Ducktrap River’s smoked specialties can be found throughout Maine, and their products can be ordered and shipped all over the world. Have you ever heard of Maine Mud? What about Acadian ploys? Fact: the whoopee pie is the official state treat of Maine, and the largest one ever created (assembled, sculpted?) occurred in South Portland in 2011. Sooner or later, the whoopee pie is going to usurp the cupcake as the number one dessert fad in America. In Maine, you can even wash down that chocolaty cookie/pie/cake concoction with a Moxie, a soft drink that was developed in Maine in 1876. Believe it or not, Moxie once rivaled Coca-Cola in popularity. Nowadays, it is only the old timers and hipsters who enjoy its bitter, medicinal taste. Back to Maine Mud. While it might sound like a reference to the mud season that exists in New England somewhere between winter and spring, it is actually a dark chocolate sauce that is made in Maine. As for those Acadian Ploys: They are a type of buckwheat pancake that was once popular all over the Upper St. John Valley, a region of Maine heavily influenced by French-Canadian culture. Have you ever heard of Needhams, Shaker herbs or dilly beans? Once you get to Maine, the gourmet-shopping list goes on and on. 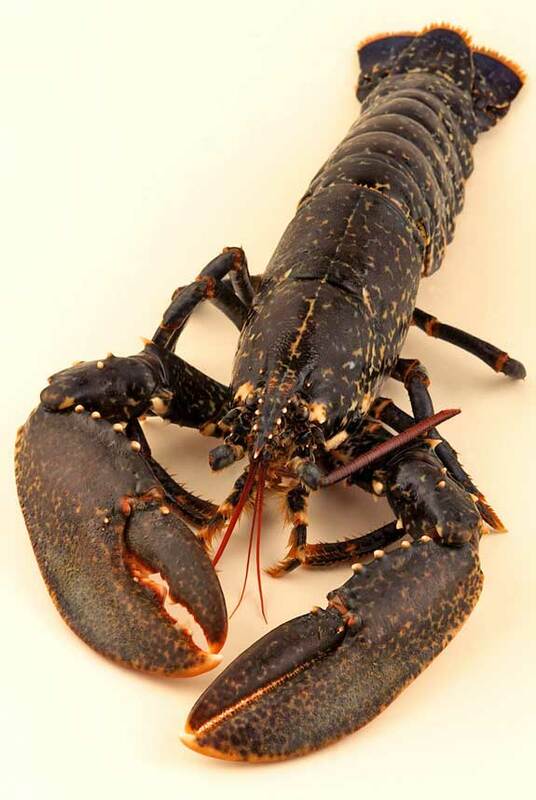 Live Maine Lobster as well as smoked seafood can be purchased at local pounds and markets as well as online.